See, Doing It For The Gram. This entry was posted in Intellectual Property Law, Legal News & Events, Productivity & Technology and tagged innovation, intellectual property, lawyers, legal, technology. This inspired me to create a similar “Sweet Setup” column, one that may interest young burgeoning attorneys and professionals. If I have learned nothing at all, it is that a great deal can be learned from an individual’s device workflow/setup. My name is Andre J. Webb and I am a twenty-eight year-old attorney in Delaware. I am also lead writer and editor of The Burgeoning Young Attorney. Through blogging I use my keen interest in law to provide miscellaneous pieces for readers to enjoy. Blogging also enables me to develop a voice in the legal community for young attorneys. I believe that a strong integration with technology and efficiency is what will separate good legal services from great ones in the future. As a result, I try to use the latest and greatest. I have a 32GB iPhone 5S in Space Gray. I am a huge proponent of using folders to group similar applications used frequently. 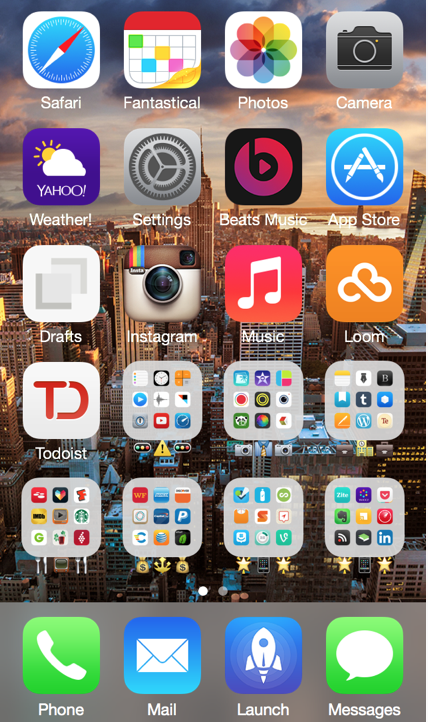 Random apps used often are placed into favorite folders. Other folders include different groups of applications whether, writing, reading, research, entertainment, or financially related. This entry was posted in Productivity & Technology and tagged apps, attorney, iOS, iPhone, iPhone 5s, law, legal, rss feeds, sweet setup, writing. This entry was posted in Intellectual Property Law, Legal News & Events and tagged coffee shop, Comedy Central, Dumb Starbucks, law, legal, Starbucks, trademark infringement. Recently, the PA Supreme Court released a ruling that is sure to shake things up involving life science matters in Pennsylvania. Read more below. In a decision with significant potential ramifications, the Pennsylvania Supreme Court has issued a ruling that pharmaceutical companies can be held liable for negligence in the design and marketing of drugs, regardless of claims that the drugs had been properly labeled and tested, as well as approved by the U.S. Food and Drug Administration. The ruling, announced January 22nd, upholds an intermediate appellate court decision against a Pfizer, Inc. subsidiary in a wrongful death action involving the diet drug Redux. In its 4-2 decision, the Supreme Court of Pennsylvania rejected arguments by Wyeth Ltd. that pharmaceutical companies could only be held liable in Pennsylvania for manufacturing defects and inadequate warnings. This entry was posted in Legal News & Events, Litigation and tagged law, legal, Negligence, PA Supreme Court, Pharmaceutical Manufacturers. 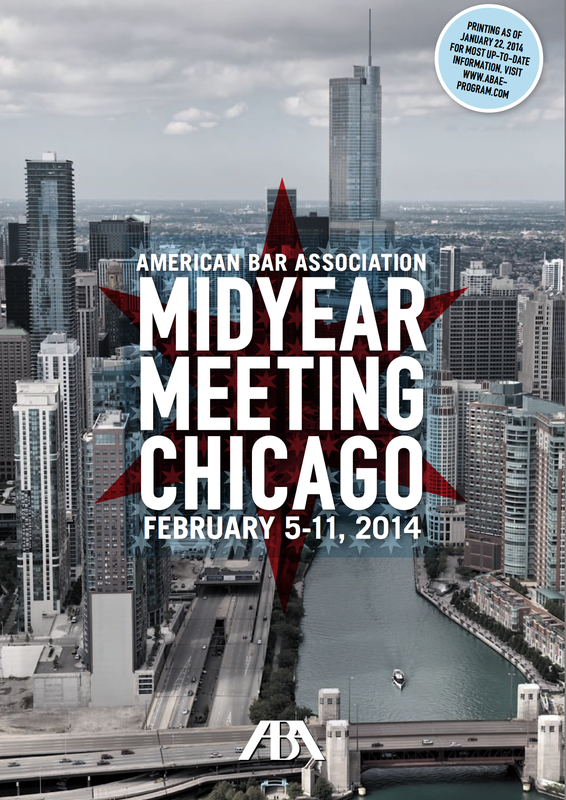 For the next few days, I will be in Chicago attending the 2014 ABA Midyear Meeting. The ABA promises a wonderful program and I am looking forward to the educational fun experience. Luckily, I was fortunate enough to be selected as a delegate for PA’s Youth Lawyer Division. Reviewing proposals and resolutions is sure to be interesting. Other seminars I plan to attend include: Law School to Law Practice and the Anatomy of ADR. Stay tuned for blog posts and updates! This entry was posted in Uncategorized and tagged ABA, ABA MidYear Meeting, American Bar Association, Chicago, law, legal, PA's Youth Lawyer Division, Youth Lawyer's. Two high school cheerleaders are suspected of spearheading an elaborate underground gambling ring. Neither the police nor the school will release the students’ photographs, but your reporter was able to obtain several images of the girls on Facebook along with a short video of them performing a cheerleading routine. Can your station use these visuals in its newscast? During a tease? On its website? With the gubernatorial election a month away, a story appears overnight on the website of the local alternative weekly newspaper that the incumbent has late-stage cancer and may only have weeks to live. Your political reporter tries, but is unable, to confirm the story overnight. Can your station lead its morning newscast with the story? If so, must you attribute the newspaper as the source of the story? Your station’s primary competitor obtains hidden-camera video of the star quarterback for the local NFL team injecting steroids before a big game. Your assignment editor identifies the source of the video, but is unable to negotiate a licensing agreement at a reasonable price. Can your station still broadcast parts of the video on its newscast (using the video recorded from your competitor’s newscast)? See, What Every News Organization Needs to Know About Copyright Law. This entry was posted in Chalk Talk, Intellectual Property Law and tagged copyright, fair use doctrine, law, legal. 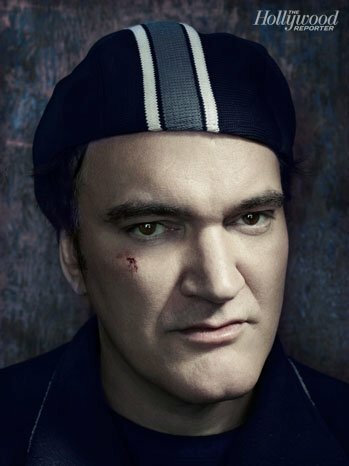 Quentin Tarantino has filed a copyright lawsuit against Gawker Media for allegedly facilitating the dissemination of copies of his unproduced script, The Hateful Eight. Last week, the famous director was outraged after details about the Western circulated. He was so irate that he told the media that he wouldn’t be making the picture as his next film. This entry was posted in Intellectual Property Law, Litigation and tagged Gawker, law, legal, Quentin Tarantino, The Hateful Eight.